It took me 4,000 plus miles, 2 suitcases, 16 strangers and 1 leap of faith to realize that the sky is truly the limit in sports. If you would have asked me two years ago if I would have traveled abroad to Milan, Italy to experience a once in a lifetime opportunity to work an international sporting event, the answer would have been no. Fast forward to today, I am ever grateful for that split second choice to go out on a whim and apply for an experience that has forever changed my life. 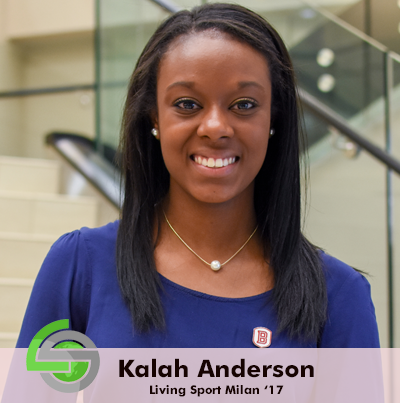 Read Kalah’s full blog here.